Today, Nick Raynsford, president of the Town and Country Planning Association (TCPA) and housing minister from 1997 to 2001, presented his interim findings at the House of Lords. 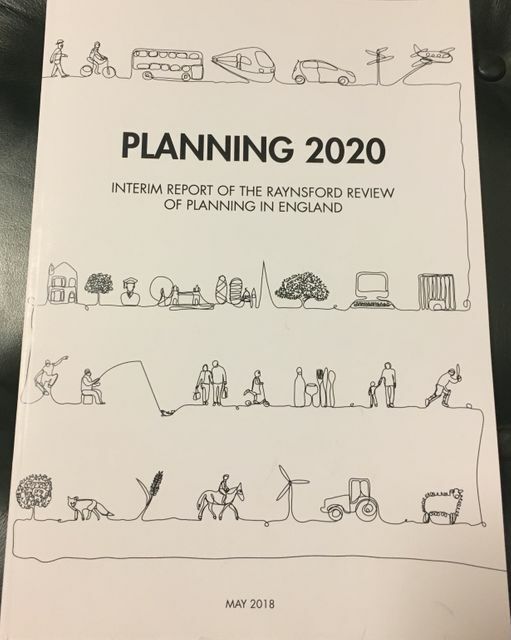 The Raynsford Review of Planning, commissioned by the TCPA, suggests 9 provisional propositions as the foundation for a new planning system which could command the confidence of the public and help deliver the development that the nation needs. The final report is not due out until Autumn 2018, so it is likely that it will generate a lot of debate and some of these propositions will be tweaked in some shape or form. It is fair to say that developers, planners, and local planning authorities are working in a less than optimal planning system. If the planning system is to be seen to be an “enabler” then important changes have to be made to simplify it. However, I do not believe there is an appetite for establishing a completely new system from scratch. Given the limited resources of stretched local authority planning departments and the constant innovation and growth of technology and the market, surely it makes sense to reform and improve the system that is already in place and to give it flexibility so it can evolve with, for example, the digitisation of planning and the way we integrate and design our towns and our cities via the advancement of technology-driven sustainable development. The importance of planning as a means of reconciling economic, social and environmental priorities is accepted, and local variety and flexibility within a basic national framework is the aim of the planning system. It is about getting the right development in the right places at the right time. Of course there is a camp of "good" developers and "bad" developers. Just as there is a camp of "good" local planning authorities and "bad" local planning authorities. The good developers and good local planning authorities will always adapt to whatever planning system is before them and make decisions and deliver the best developments possible. The bad developers and bad local planning authorities will always try to circumvent whatever system is before them – whether the current one or a radically different one. Issues do not disappear with a new system. The planning system is only defensible if it meets the principles of good regulation: transparency, flexibility, efficiency, proportionality, comprehensibility, and consistency. The future of planning is lean, digital and democratic. And this can be done by reforming and improving the current system rather than establishing a completely different one because digitisation presents tangible opportunities (and of course some challenges) to transform our current complex planning system. This is an area the interim review has not explored and merits consideration prior to the issue of the final report in Autumn 2018.